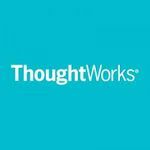 ThoughtWorks- is synonymous with innovation. We- re a diverse community of bright and passionate individuals striving to have a positive impact on the world. We- re dedicated to the art of software delivery, by keeping it lightweight, Agile and open-source. Our clients are organisations with ambitious missions, for whom we deliver complex enterprise systems. You thrive on getting the team to focus on the project's most valuable features. You drive solutions and set the stage for success by being collaborative, open and honest. You go beyond company-based processes and toolkits to find out what the software must achieve to deliver value, and by getting to know businesses inside and out. You give a voice to end users and generate ideas alongside developers to create exceptional systems that delight your customers. You like to listen and love to ask why. You are willing to do what it takes to get the job done: whether that means going back to the drawing board with a problem, or simply taking on different roles and responsibilities for a period of time. You thrive in adapting to a changing environment. In short, you are a ThoughtWorks Business Analyst. What does this role entail?